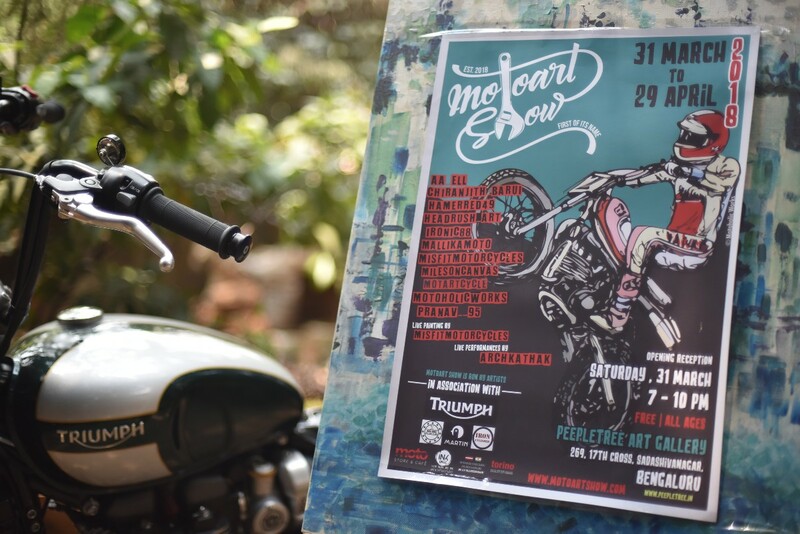 Bangalore is playing host to India’s first gallery art exhibition dedicated to art inspired motorcyclists titled “First of its Name”. The event hosted at the Peepletree Art Gallery from the 31st of March 2018, will continue till 28th of April 2018. In this debut Moto Art show, 12 multi-disciplinary moto artists from all across India will be showing their artworks. 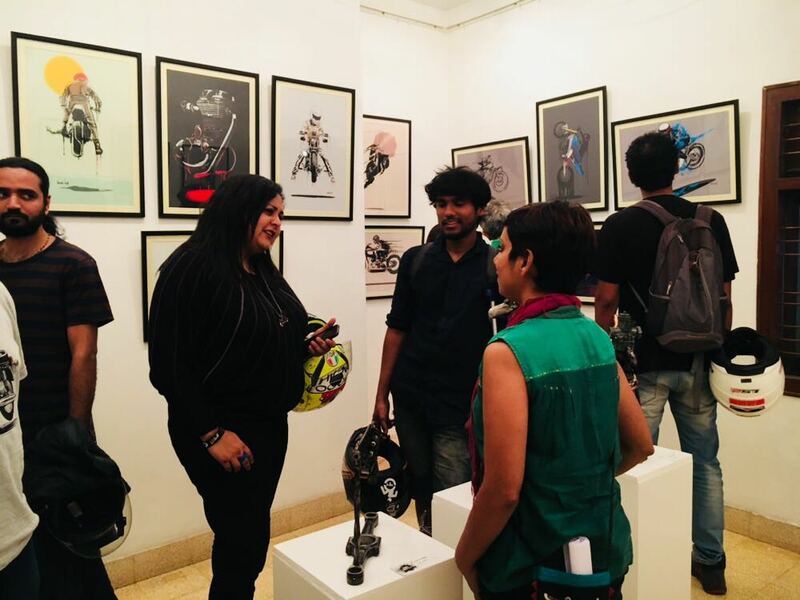 Moto Art Show founder and curator, Mallika Prakash said, “Paintings, illustrations, metal sculptures using bike parts, films, performance, you name it and we have it. This is the first time such an event is happening in India with so much motorcycle art in one place. We will have around 80 unique pieces of art for sale. There’s something for everyone in this exhibit if you love motorcycles. 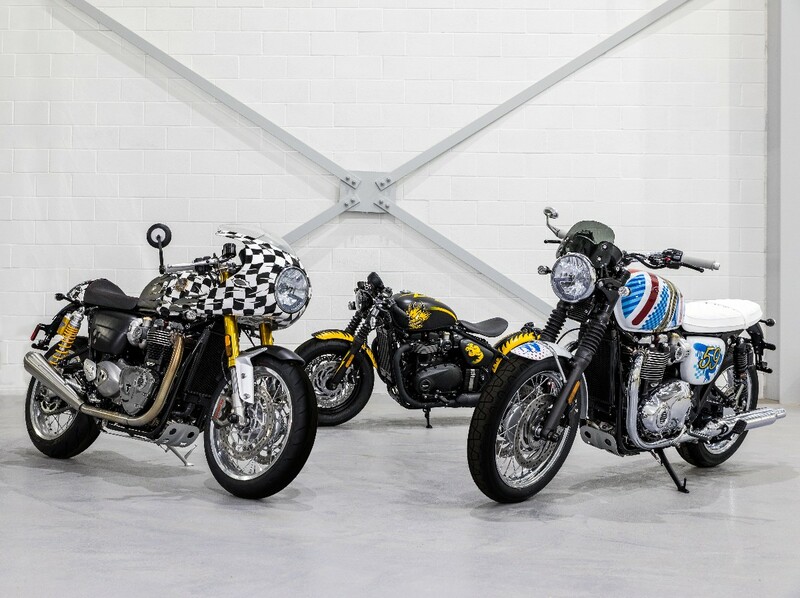 We want to combine the artsy and the biker lifestyles and make lives a little less ordinary”. Mallika Prakash is a biker, new mom and an engineer turned moto artist aka @mallikamoto. With roots in Delhi, Mallika started riding in San Francisco towards a self-propelled art career. She has shown and sold her work in various galleries in and around San Francisco. Nidhi Agarwal, Moto Art Show’s other half and Partner in Design, is an automobile designer by profession, moto artist by passion and likes to call herself a Motoholic. Currently based in Japan, Nidhi has worked with International brands like Royal Enfield, Honda 2 Wheelers and Yamaha Motors as a designer and founded Motoholic Works® in her free time. 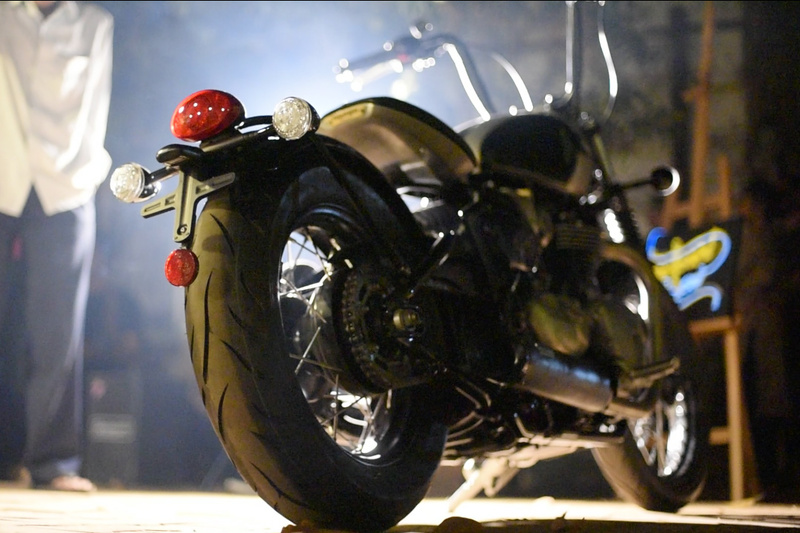 Moto Art Show is making a statement and riding strongly through the headwinds of the Indian art world. It brings with it a new genre “motoart” to the forefront. 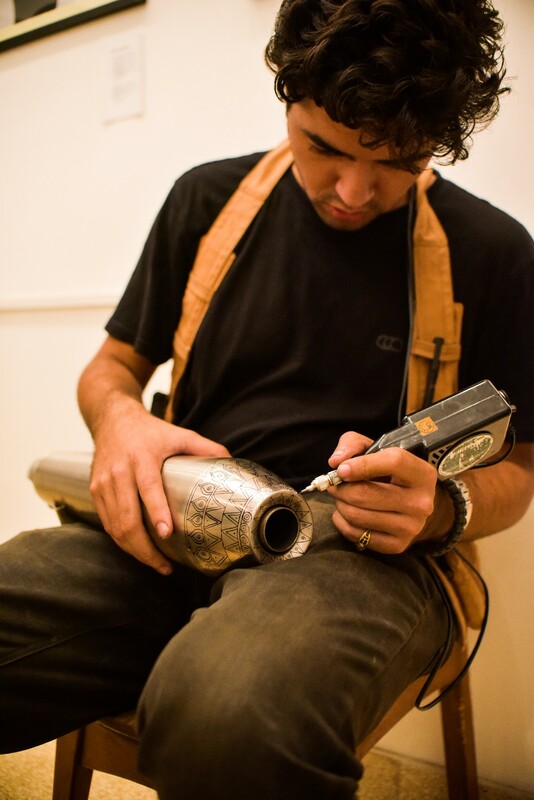 It aims to give moto artists a voice in the real world and breed a new wave of art lovers. 14th of April 2018 : 11am - 7pm. Local Bangalore based Inkrage tattoo studio will be in the house all day. If you’ve been thinking of getting a tattoo for a while, this is where you want to be. Another local business Moto Store & Cafe will be conducting a workshop on riding safety and gear at the gallery. Archana Kumar will be performing live as well. 28th of April 2018. The last day of the exhibition, the closing party will be from 7-10pm. 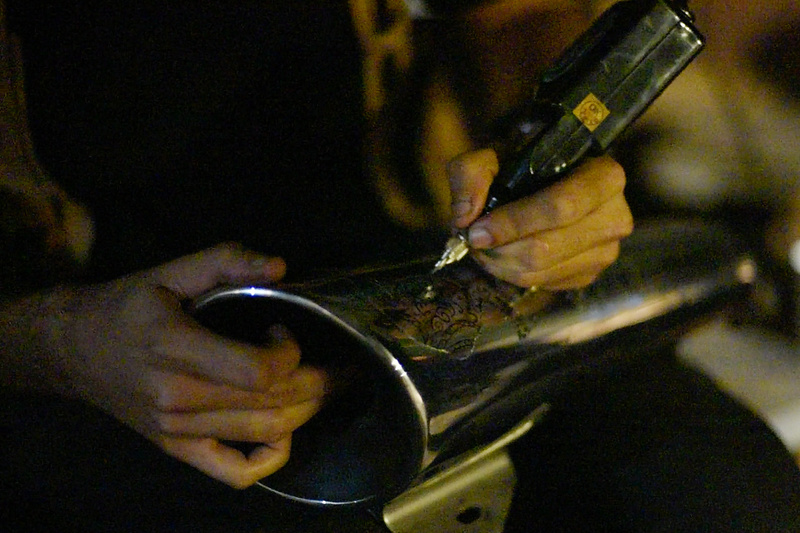 Archana will be giving her last live performance accompanied by a hand painted Bullet and a live guitarist. Grilled delights by BBQ Ride and beverages will be on the house. There are two brothers from Hyderabad known as hamerred49 and ironic88 that will be showing illustrations and metal sculptures respectively. 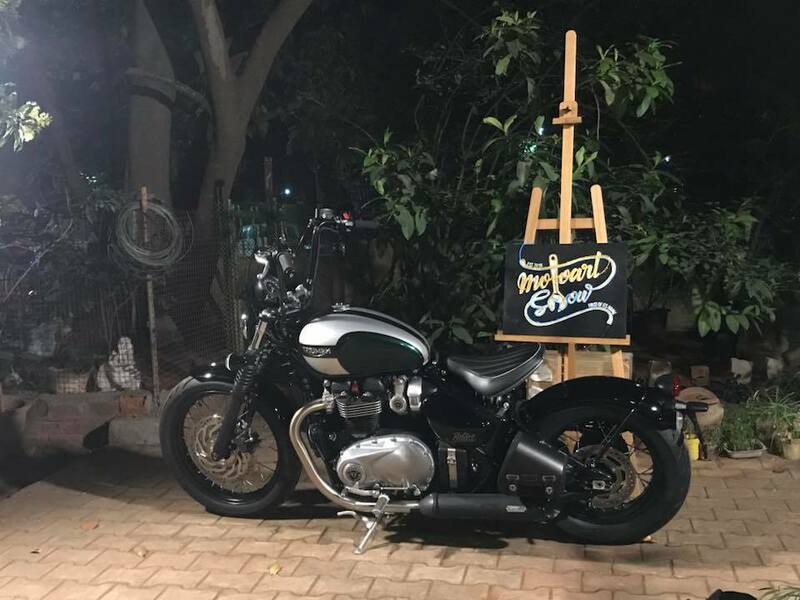 Heardrush_art from Delhi does acrylic paintings inspired by his motorcycle journeys and has been showing his motoart since the last 10 years in the NCR region. Motartcycle also from Delhi is a motorcycle designer and will be showing her colourful water-colour paintings. Pranav__95 from Dehradun does very detailed drawings of motorcycles, many of which are his own imaginary builds. Chiranjith_barui is another water-colour painter in this show. His works have delicate washes of colour that make his scooters and motorcycles look alive. 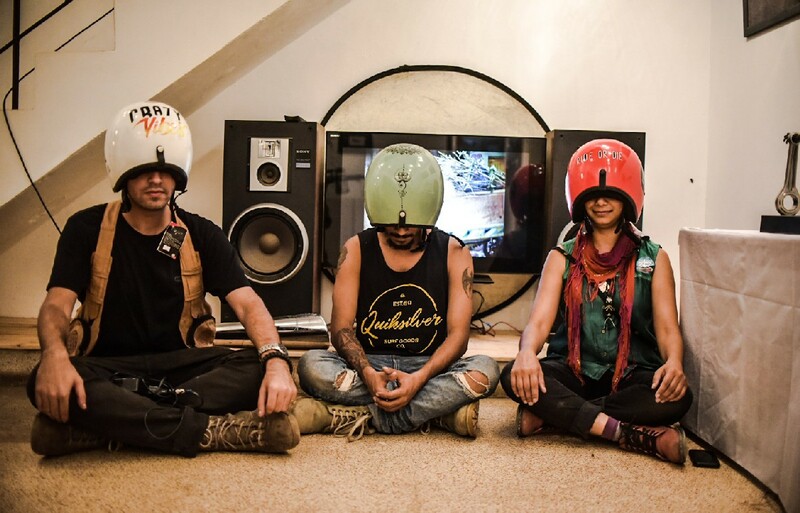 Then there’s misfitmotorcycles from Pune, a group of 5 that build custom bikes and are bringing custom painted helmets to the show. Another painter in the show is from Bombay and known as milesoncanvas . He rides out to the countryside with his acrylic painting kit and paints his bike in the natural landscape. 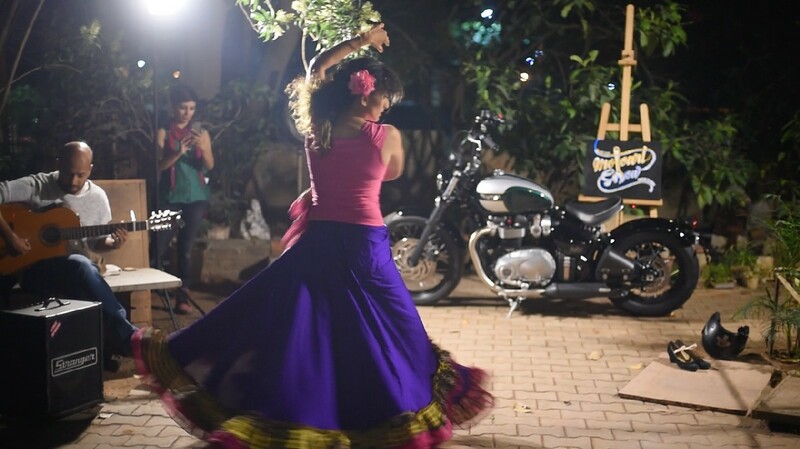 Biker, dancer and performer known as archkathak will be performing live at the opening party with a motorcycle as her dance partner accompanied by a guitarist. Filmmaker and gallery owner Aigars known as aa_ell has been documenting all his bike journeys and will be sharing some of those with the audience. Mallika and Nidhi better known as mallikamoto and motoholicworks will be showing their acrylic and water-colour paintings respectively. Fantastic, this is something really really interesting to have, hats off to those to have brought this concept here. Superb stuff and a positive indication that motorcycling in India is maturing and coming of age. I wish all the participants a successful show and hope these exhibitions are held all over the country. Bike Gallery Weird or Cool?